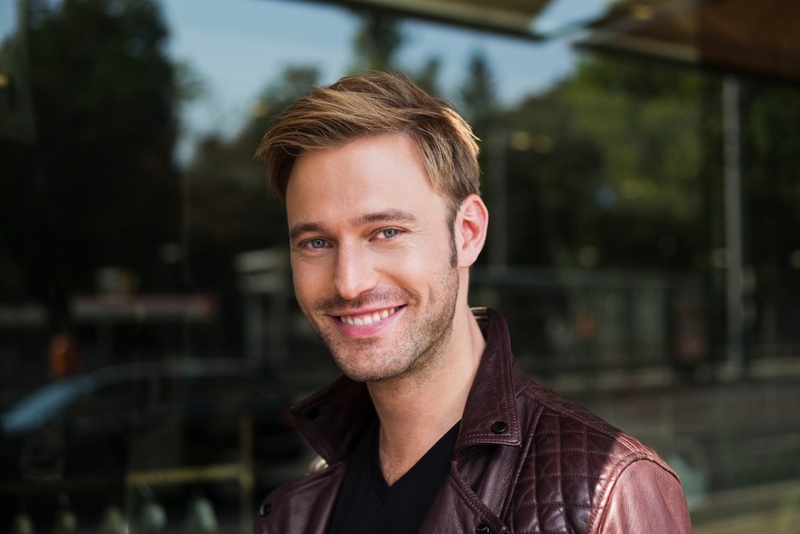 The young German baritone Benjamin Appl (he was born in 1982) is at the stage in his career when he has moved on from being the 'young singer to watch' to being a significant talent in his own right. This is reflected in his recent signing to a major label, Sony, and to the busy-ness of his recital schedule. I was lucky enough to be able to meet up with him recently to talk about singing, song recital making and particular his latest recording with Sony, Heimat. In person, Benjamin is as alarmingly tall as he is on stage. He is a charming and thoughtful conversationalist, and clearly thinks a lot about singing, song-recitals and programme making as well as the vexed question of how to attract wider audiences whilst not losing integrity. Benjamin's most recent disc, Heimat with pianist James Baillieu on Sony Classical (see my review) takes a somewhat thematic approach to song recital making including quite a wide variety of songs, grouped by theme and exploring what 'Heimat' really means to him. A distinctive feature of the programme was the way that the songs moved from predominantly German lied to a group of English songs, reflecting the way Appl has moved between the two countries. A previous disc Stunden, Tage, Ewigkeiten also with James Baillieu on Champs Hill Records (see my review) also took a themed approach, with settings of the poems of Heinrich Heine. I was curious as to whether this type of thematic approach was one which appealed to him. 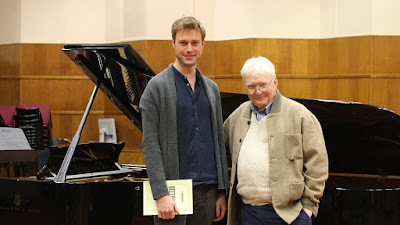 He explained that he does have a disc of Schubert songs with Graham Johnson on Wigmore Hall Live (see my review) and a disc of Brahms songs (on Hyperion Records) coming up, but he feels that there already 100s of recordings of Die schöne Müllerin (though he does not rule out recording this). In Heimat he very much wanted to find his own way of interpreting a programme that was interesting for the listener, and would have a mix of popular songs and rarities, combining different composers on one disc. Part of the reason for this was to try and draw people in. He comments that song recitals tend to exist in quite a small world with a specialist audience. The song recital audience is usually different to that for chamber music, and people drawn to classical music can have reservations about song recitals. So he wanted to create a disc which can be listened through easily and which would open up the songs to people not familiar with them. One of the worries is that the audience to which Benjamin sings is predominantly older, and he sometimes wonders what will happen in ten or 15 years time, though others in the business have said that the audience 40 years ago was equally as full of white hair. Even so, it is a bit worrying and Benjamin wants to find ways of engaging with younger people in recitals, without losing integrity or losing the existing audience. Whilst he was one of the European Concert Hall Association's (ECHO) Rising Stars, as part of an eight-city tour across Europe, he also did concerts in schools and gave workshops, as well as performing in places which are out of the way. He finds such outreach important, and sees a need for extending the areas and types of performance, but feels that the classical singer and piano recital will also stay. 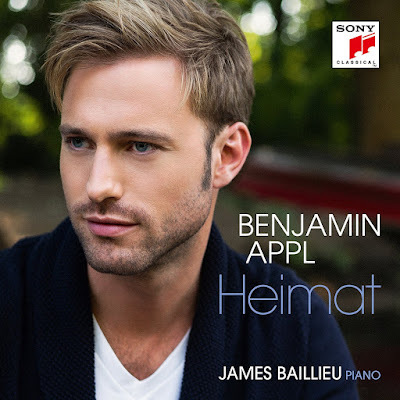 Benjamin's Heimat disc's group of English songs reflects that he has performed quite a lot of English repertoire. Whilst he was studying at the Guildhall School of Music and Drama his performances included singing the title role in Britten's Owen Wingrave, and as one of the BBC Radio 3 New Generation Artists, Benjamin performed a lot of English repertoire including the orchestra version of RVW's Songs of Travel and Britten's War Requiem. He loves the English language and poetry, yet he finds English the most difficult language in which to sing, and comments that if you went to ten different language coaches you would be liable to get eight different opinions. The vowels, in particular, have to be very precise (he cites the word 'cat') and the diphthongs quite place quite late, things which are difficult to catch fully in phonetic alphabet. When he was working with an English coach on Britten's War Requiem (Benjamin is performing the work in Italy and in Munich in August 2017), one language coach said that 'it was lovely having a little German hint'! When Benjamin came to study at the Guildhall School he found the atmosphere very different to studying Munich Hochschule fur Musik. In Germany, study is very centred towards the singing teacher almost to the point of not talking to people in other classes, and whilst there were language classes and classes on French melodies, it would have been almost possible to survive only singing in German. By contrast, in the UK he enjoyed the fact that study was far more about experiencing things together, and the singing lesson was simply part of the weekly schedule, not the highlight. So he finds his English contemporaries generally better trained and more open. Whilst there is a beautiful English repertoire, it would be hard to create a career just singing English song, with the result that British singers are amazingly well-trained in other languages, and when you hear some British singers performing the role of the Evangelist in Bach's passions you almost don't hear that they are English. He finds it interesting when a foreigner sings in a language other than their native one, as it brings something different to the performance whether it be differences is word stress, which words are important and the colours used, and he thinks it can sometimes be more interesting to listen to, and encourage a higher level of listening. When a piece is unknown to him, then Benjamin will listen to other recorded performances once or twice, to get a sense of the structure and length of the piece. But then he puts recordings away and concentrates on the text, writing it down. He writes it out structured like the original poem, as he wants to understand the poem's structure which can be something which gets lost in a musical performance and he comments that some singers never even know how many strophes there are in a song. He writes the text out repeated, it is a visual and tactile experience which helps him remember, akin to a photographic memory. At this point her returns to the score, at the piano. Only after learning the piece might he listen to other recordings. Benjamin likes learning new repertoire, though he suspects that he has a tendency to say yes too much. He worked on all the major repertoire with Dietrich Fischer Dieskau (he was in fact Fischer Dieskau's last pupil). Fischer Dieskau advised him to learn most repertoire by the age of 35, partly because it is easier when younger and partly because, hopefully, after the age of 35 you will be so busy you won't have much spare time for learning. And in 2010, Benjamin met the pianist Graham Johnson and started working with him, doing a lot of lecture recitals and Graham Johnson would always ask him to learn something new. Trying new repertoire out can, however be a problem as Benjamin sees a tendency in the classical world for performers to have to deliver everything perfectly - voice, intonation, and the piece has to suit you. Since he has signed for a major label he is more exposed, and when planning concerts has to think about repertoire that he has already done. When he was younger, and not at the centre of attention he was able to programme new pieces that he was not sure whether he was able to sing or not, and sometimes they worked and sometimes he put them aside for a time. He thinks it valuable for a performers to be able to find out how far they can go, or not. He finds it an interesting alternative approach, a singer telling the audience 'this is new, I am trying it out'. Of course, if you are performing at the Vienna Musik Verein then you have to be careful, but if an artist is always in a safety zone, where do you have a chance to develop. The advent of more live recording from phones, and the internet has changed things, and he comments that for older artists live performance could be a safe zone, with a chance to fail without extensive public exposure. When planning Benjamin has been planning his own programmes, Graham Johnson has been a great source of ideas and advice to Benjamin. The programme for Heimat took a lot of time to put together, there were so many composers to look at but also questions of tempo, time signatures, key relationships and dynamics to that the songs related to each other, covering questions of whether the songs flowed into each other (which means the keys have to match) or whether there was an abrupt change, such as between the German and French section. It was a long process, and Benjamin put to use a lot he learned from Graham Johnson. Luckily, Benjamin enjoys going to the library and looking for music on-line. In fact, for Heimat he originally had around 200 hours of music which had to be boiled down to just a single disc. The song recital format can be a challenge for a singer, there are no long rehearsal periods and all the work has to be done by yourself. Benjamin is thankful that he started young, and comments that some older colleagues found recitals difficult as they started so much later. In recital there is little between you and the audience, and there is also the fear that you might forget some of the huge amount text that you have had to learn. Benjamin feels that he learned a lot about performing when he first came to the UK, when he did a huge amount of recitals, free ones and for small promoters, simply learning by doing. 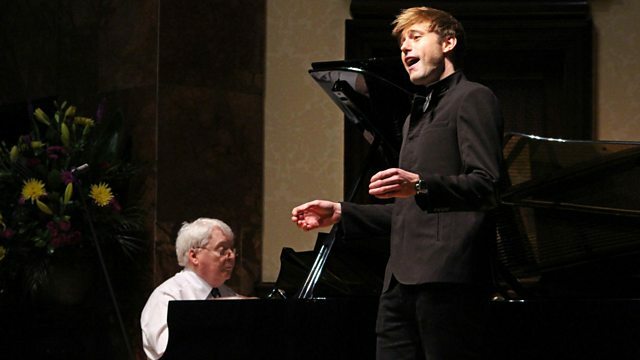 In the recital room, the challenge is to get the audience to understand what the song is about; using colour and emotion a singer can transport a message to an audience without them completely understanding the language in which the singer is singing. There are also additional challenges, Benjamin has never felt a longing for suicide but in Winterreise he has to find a way to project the emotion by analogy, so that what he sends to the audience and what they receive can be completely different. Of course, he only has to do that with feelings outside his experience. Benjamin feels that you have to be very precise, as an artist, about which emotion you are sending to the audience, and it is the audience's choice how open they are to receiving it. As long as you have an open and appreciative audience, it does not matter whether you are singing in their language or not. As a boy and young man, Benjamin was in the Regensburger Domspatzen, the official choir for the liturgical music at St Peter's Cathedral in Regensburg, Bavaria, Germany. He then went on to study at the Munich Hochschule fur Musik, before coming to London to study at the Guildhall School and he has retained a base in London. Unlike similar choirs in the UK, all the voices (soprano, alto, tenor and bass) in the Regensburger Domspatzenare drawn from the boys (who leave at the age of 18 or 19) and there were no adult singers. And singing was part and parcel of the whole school experience, as everyone at school was expected to sing. Whilst at school he had a good and supportive teacher who advised him that becoming a professional singer was a hard choice. So a career as a professional singer was not far from his thinking, and very far from his personality. On leaving school he did an 18 month training programme in a bank, and then studied business administration, but got bored. He auditioned for music college partly because he saw it as a cheap way to get singing lessons (there were virtually no tuition fees). So his route to becoming a singer was not a swift decision, and he feels he simply went with the flow. The result is that he started studying a slightly later age, this is something he is happy with. 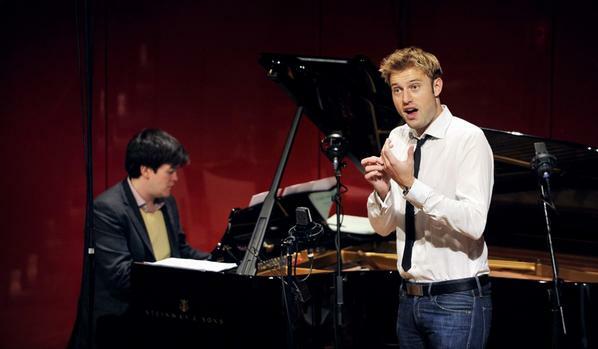 He adds that in the UK singers tend to go to college quite young, and it can be better both for the male voice and for the personality to start later. 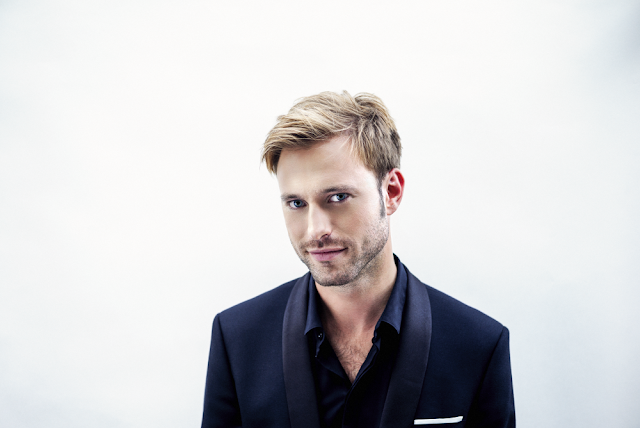 One area that does not, at the moment, crop up much in Benjamin's diary is opera though he is performing Mozart's Apollo & Hyacinthus for Classical Opera in Birmingham (10 June 2017) and at St John's Smith Square, London (12 & 13 June 2017) As his concert/recital career is going so well he finds it tricky to find the right balance with operatic performance. Partly because German opera houses planning is often very short term, and also people tend to think in boxes, either a sing recital career or opera but not both. But also opera really needs so much time and commitment. And you have to commit to it completely, so it is tricky to combine with his concert diary. But, if you can achieve a good balance, then he feels that it enriches both sides.